All hail Galactron! 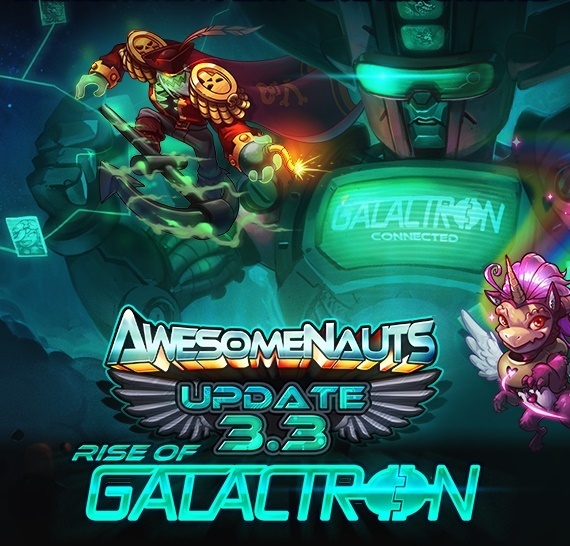 One week from now, we’ll be launching Awesomenauts 3.3: Rise of Galactron. This update contains the long-awaited matchmaking overhaul, a brand-new party system, and overhauled menus. We’re still hard at work to fix some of the remaining bugs with Galactron and the new systems. These fixes will be included when the update officially goes live next Wednesday. Beyond that, we’ll continue to tweak the system to improve the experience even further. If you have any feedback already, please use the buttons in-game to share your input! On November 23rd, we’ll launch the Beta for Awesomenauts 3.4: Prime Time! That update will include the Spectator Mode, the visually-reworked Clunk, and a new Awesomenaut. This ‘Naut will join the line-up in the Overdrive expansion, alongside Professor M. Yoolip, Chucho Krokk, and Jimmy and the LUX5000. And best of all… Awesomenauts 3.4: Prime Time will launch before Christmas this year! We haven’t revealed a lot about this new character yet and will be sharing bits and pieces over the coming weeks. Here’s the first teaser image though! 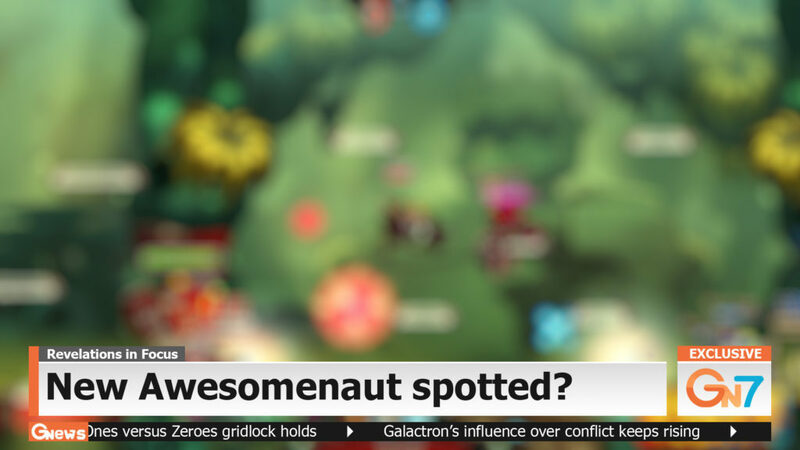 For a summary of all the content coming to Awesomenauts in the next few months, check out the Upcoming Content page: https://www.awesomenauts.com/upcoming-content/.